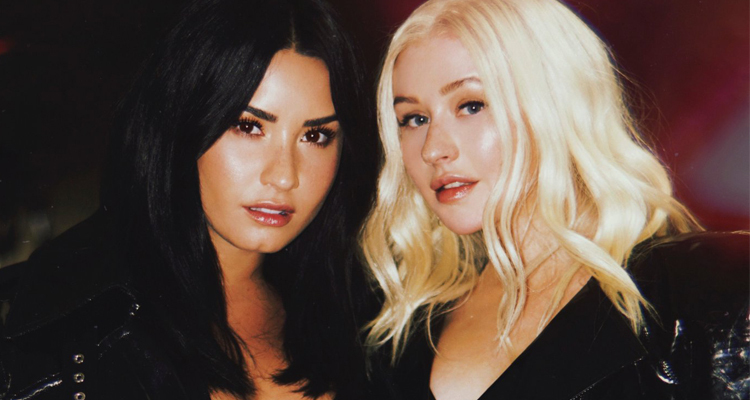 Christina Aguilera and Demi Lovato team up on the powerful new song, “Fall in Line,” the latest single from Aguilera’s new album Liberation, due out June 15th. Earlier today RCA Records released both the single and lyric video for the track that the duo will debut live during this Sunday’s Billboard Music Awards. Fun Fact : If you pre-order the ‘Liberation’ album now you’ll instantly get three new songs’ “Fall In Line” feat Demi Lovato, “Twice” and “Accelerate” feat. Ty Dolla $ign and 2 Chainz!